Participate in our program as a company sponsor by hosting students for half-day experiential sessions. 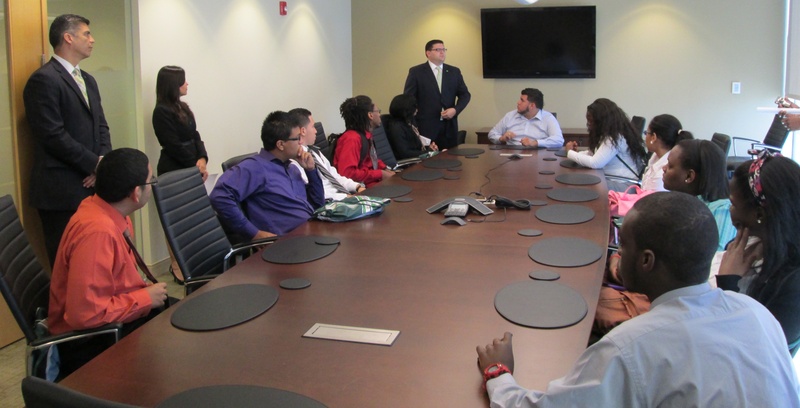 Our goal is for company sponsors to invite the students into their offices, discuss with the students the growth prospects of the industry and career roles within the industry, and provide an experiential component to the visit by allowing the students to tour the facilities and shadow employees. We have partnered with the Miami Science Museum, which has made their facilities available for the students to compile a multimedia scrapbook of the day’s activities, allowing them to further engage with the images, concepts and inspirations from visiting your place of business. We will work closely with your company to ensure the experience is meaningful for both the students and the employees at your place of business. We will work with you to structure the day’s itinerary, and our team will be available on-site during the event to assist as necessary. By participating in our program, your company will be recognized in the South Florida Business Journal, at our closing ceremony to be held at Florida International University, and through other media partners. Click on the following link to review the project, our suggested itinerary for the day, our promotional flyer, and our sponsorship guide detailing the various levels of participation in the project.